When I travel, I find that I have a penchant for windows. I don't think that this is odd, but my passion goes beyond mere admiration of a good reflection or design. Windows hold historical significance and can be read as historical documents. Social values and trends, inventions, economics and tastes are readable in the language of windows. I particularly love walking alleys to read the history in the windows. 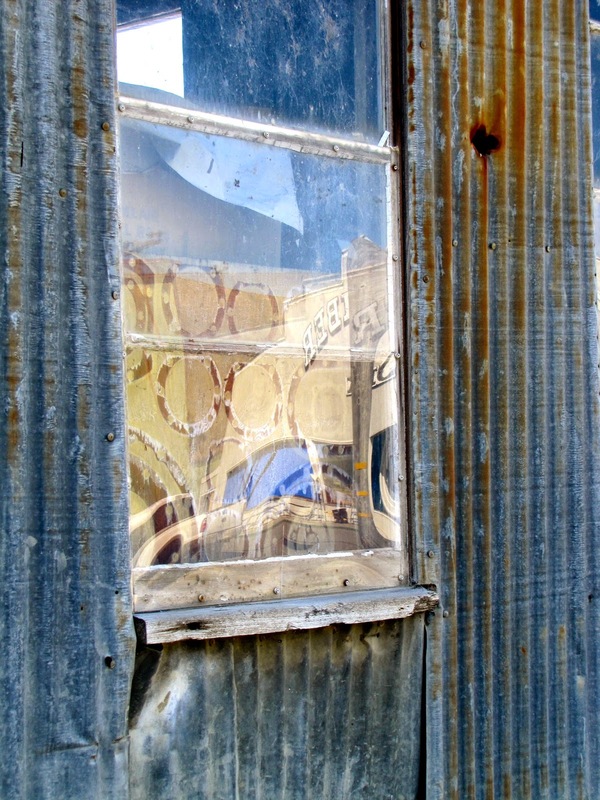 In the photo above a sheet of gasket circles is leaning against the window in what appears to be a machinist shop. The reflection of a new industrial truck adds an attractive blue and yellow sheen to the window's facade. Rusted siding frames the wooden sill. The sill is nail-stained and dry from neglect. History is written here in this little town in northern California. When this building was new, stuff would not have been piled against the window. The window's purpose was to give the workmen maximum light. Advent of better lighting systems and the social and legal changes determining work schedules has made this window's use as a lighting system somewhat superfluous. Now often before the light fads the mechanics go home and watch T.V. and spend time with their family. The condition of the sill documents the small town's economic struggles. These are social and economic shifts written in this window. This faded barn on an alley was my grandpa's in Delta, Colorado. The alley originally may have been a lane. Grandpa would have stored his new cars in this barn. He was a car salesman and bought new cars every year. Now his barn is surrounded by residential blocks. The change reflects the transformation of a small American rural city over the nineteenth and early twentieth centuries. Closer examination of the window reveals further details of the history of this town. The window in the barn's side is a recent addition and would have replaced a swinging door. Evidence of the door is in the hinge cut-outs on the right-hand board and the addition of an up-right two-by-four to make the window fit within what was a larger opening. Prior to 1969 a two-by-four was two inches wide. This board is obviously the now standard inch-and-a-half sold as a "two-by-four". A black aluminum window moves the date to something quite recent and the unfaded Mexican blanket places the change to the last year or two. This barn loft no longer is a place for stuff, it is a home for someone from south of the border. The blanket is clean and new. Poor housing for our latest immigrants. Not even a tenement, but a barn. Waves of immigrants have enriched our country, assimilating slowly moving from poor housing to at least middle-class housing. This window says that the newest immigrants are willing to make the sacrifices to begin the path to a better life. Here are a pair of self-conscious windows, the shades pulled to the precise horizontal position. The small panes, yellow tint and wooden frames all speak of old construction, but the artistic window blinds with their artful effect speak of money and time. Historically as a society gains leisure time, artistic endeavors become possible. Money writes messages. Curved glass was particularly expensive to make. 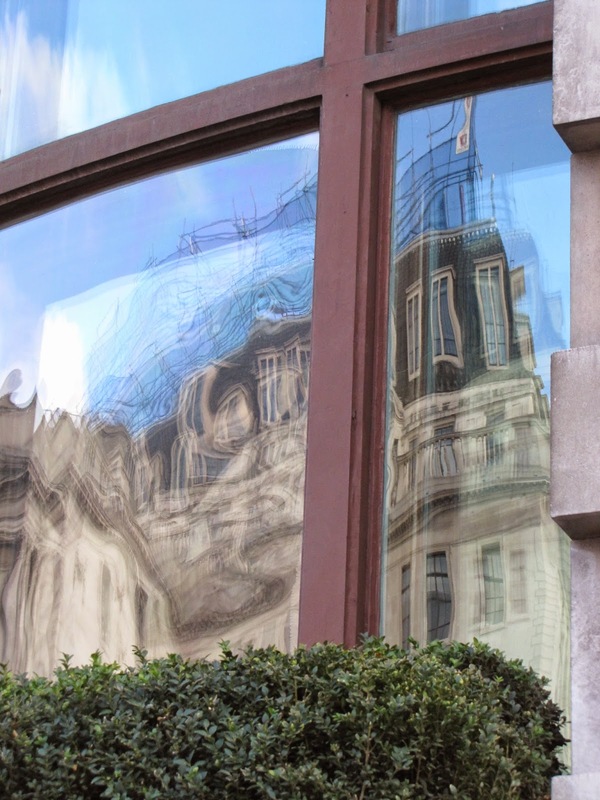 The clean curved windows in the photo below are in the precise center of the financial district of London. Money written in old windows. Sodium-lime, titanium and silicate. Heat, blow, flatten and cut. Humanity could read by the light of a window, pray for their souls under colored panes and work almost beyond endurance on long days due to the advent of windows. Windows were originally blown glass whirled to make them flatten into plates. When the glass was cut, there would be a heavier edge on the outer rim. The thicker part would have been installed on the bottom of the window. Later this phenomena spouted an erroneous theory that glass was actually a liquid and would sag downward over time. 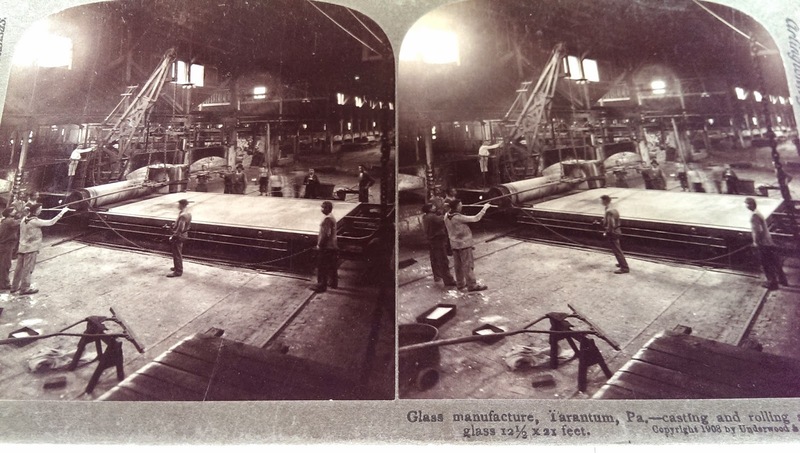 This 1908 stereoscopic view of glass making in Pennsylvania demonstrates the new technology that made it possible to make larger windows. My 1904 house has tall windows. Glass making was still inexact with glass now rolled smoother, but with the slight imperfections of waves or bubbles. Shatter proof, structural glass, triple pane, glass blocks, bullet proof glass. Window glass hasn't yet seen it's last incarnation, nor it's last influence on historical, social and economic events. The small panes in old buildings let people easily read by daylight. Glass skyscrapers gave recognition with the corner office and took it away with the cubicle. Windows read historical shifts. Windows make history. 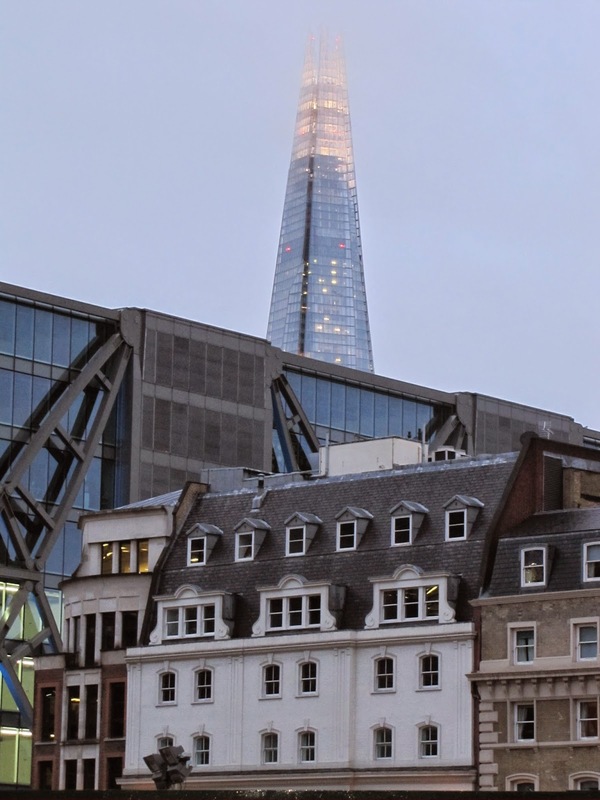 In 2013 six women climbed the Shard to protest oil drilling in the Arctic. These links show how climbing windows made history. Read on.